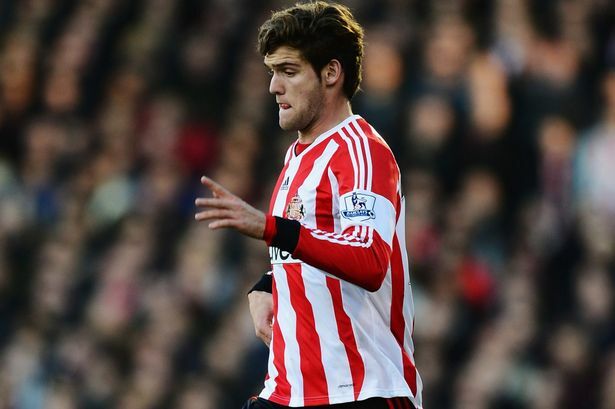 Marcos Alonso is set to return to Fiorentina for pre-season and is “excited” about returning to the Italian club. The Sunderland defender is one of the club’s priority targets and the Black Cats are desperate to bring him back to Wearside to play a key part in next season’s efforts. But the player’s father Marcos Alonso Senior says his son will be back in Italy and that the Serie A giants hold the key to his future. Earlier this month Gus Poyet said that bringing Alonso back to the North East was one of his priorities as he confirmed that negotiations are ‘ongoing’ – but Fiorentina seem to want to take a look at him in pre-season before making a definitive decision on his future. “This coming July 7, he will be in the city to respond to the call of the club and to wear the jersey of Fiorentina,” his father Marcos Alonso senior said. “Marcos, having played for six months without missing a game, is excited and very ready to be at the disposal of his coach. It’s now up to Fiorentina to make a decision. Alonso is interested in a move to Sunderland but he knows that Fiorentina must make a decision before he begins any talks with the Black Cats. “Right now we only know that he was summoned by the company to start preparing and he still has a two-year contract with the company of Della Valle (Fiorentina’s owner),” he said. David Moberg-Karlsson insists he wants to fight for his red and white future. He said: “It may be seen as a failure [the loan spell at Kilmarnock], I played two games – two more than what I played in Sunderland. “The first year has been tough and there now appears to be many “moment of truth” headlines. Meanwhile, striker Jozy Altidore will return to Sunderland next month with the determination to move on his Premier League career at the same time as progressing his international aspirations.